This entry was posted in Soap Design Techniques, Soapmaking and tagged Ecoviolet soap, Goat milk soap, Great Cakes Soapworks Soap Challenge, handmade soap, Mosaic Soap Art, Soap challenge, Soap embeds, soapmaking by ecovioletsoap. Bookmark the permalink. You cut your soaps! I am happy that you are in the challenge! All the soaps are pretty, but my favourite is the white-base one. Using embeds as mosaic is a great idea. If you don’t mind, I would like to try it some day. Good luck for the challenge and I am looking forward to your Easter soap. Thanks Maya- I would love to see your soap with embed mosaics! I tried to do this by cutting different sizes and shapes. I also found that you need a lot of embeds to do this- I thought that I added A LOT of embeds but I still see gaps of empty space. I was fun to try though! 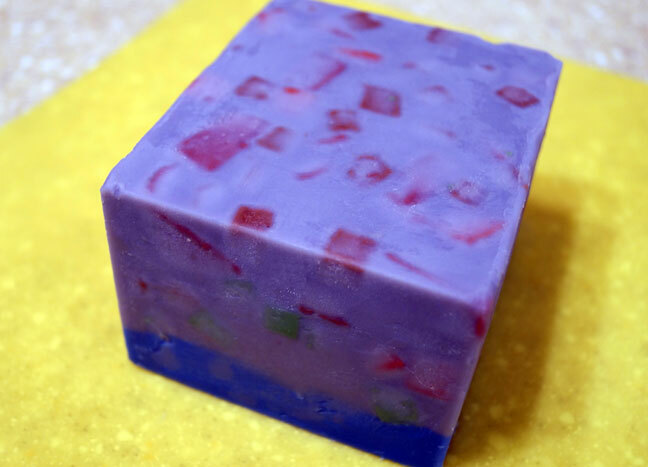 I love the creativity in your soaps, Janet! Sounds like you learned a lot just from this one technique – and hopefully that knowledge will translate into many more fantastic soaps!! Beautiful! 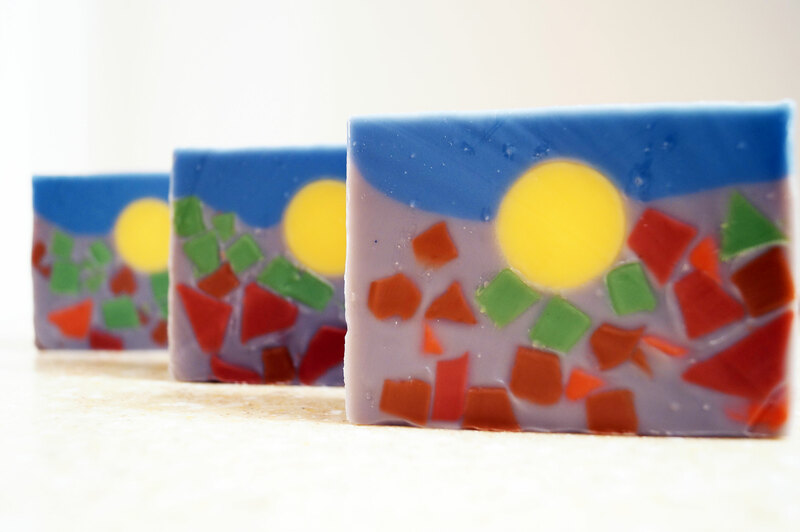 Such a sunny soap! 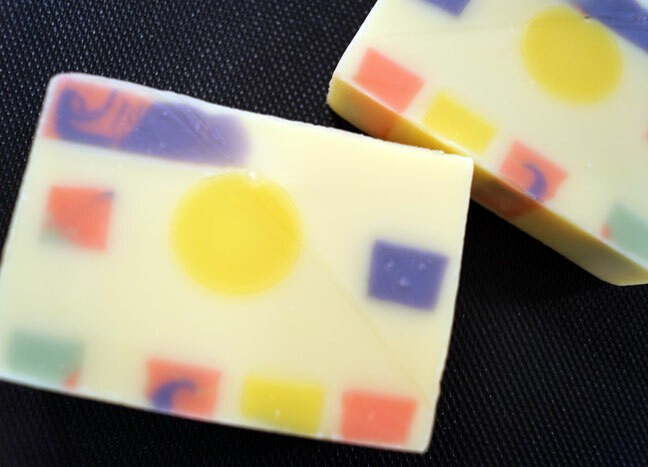 I really like the white based soap – very Spring-like and it’s “happy” !! Thanks Suzy! 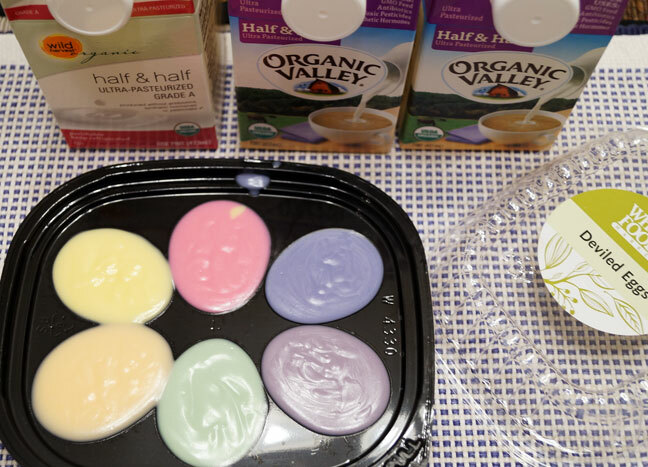 I liked the white soap too but my husband liked the more colorful soap more. He didn’t think I should bother posting it but I am glad I did! They both turned out great! I love watercolors too and also see the similarities when working with soap 🙂 Great job! Thanks Ms.Z! 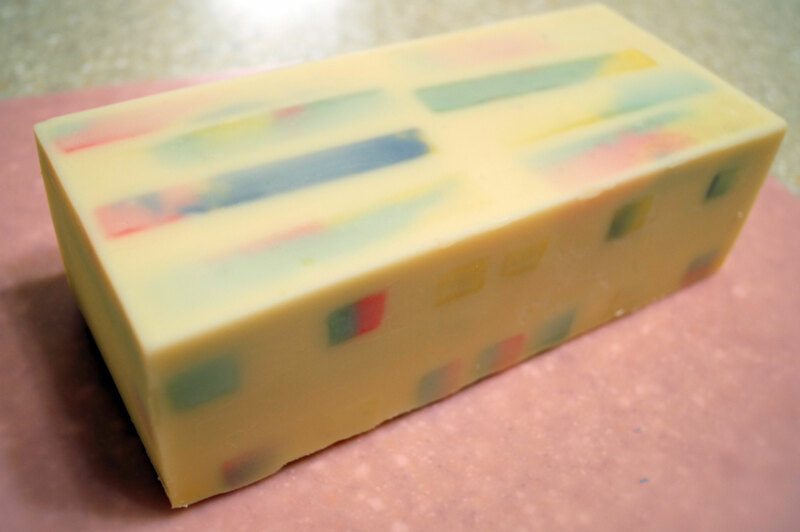 Interesting about the similarities between watercolors and soap design isn’t it? 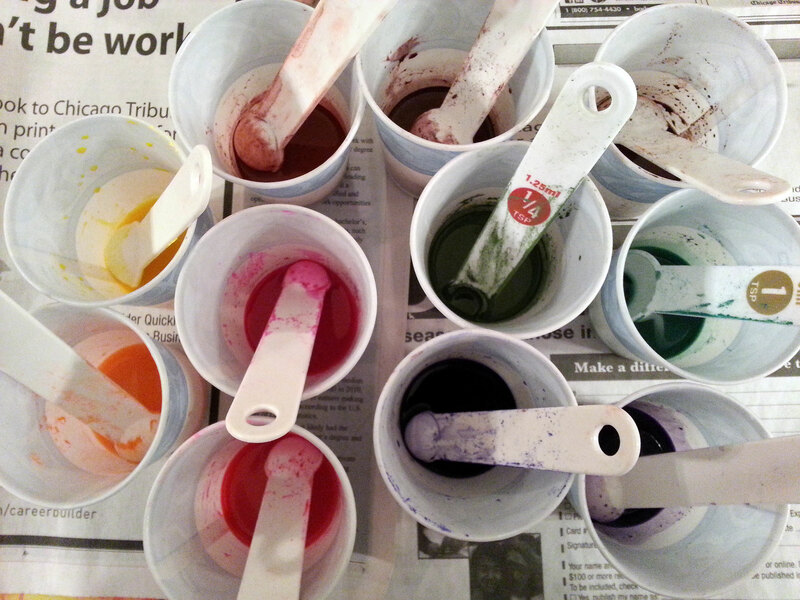 A basic exercise in watercolors is to blend each individual color with every color tube you have to see the effect of the two color blend. Sometime you get surprising results! Love mosiacs of all kinds… soapy ones are the best! Thanks Chris! I love this too and want to try it again! I love the creativity in your mosaic mountain soap! The triangular cuts say “jagged rock” and contrast nicely with the yellow sun and blue sky. I can tell that you put a lot of thought into this. A lot of work went into that – well done! 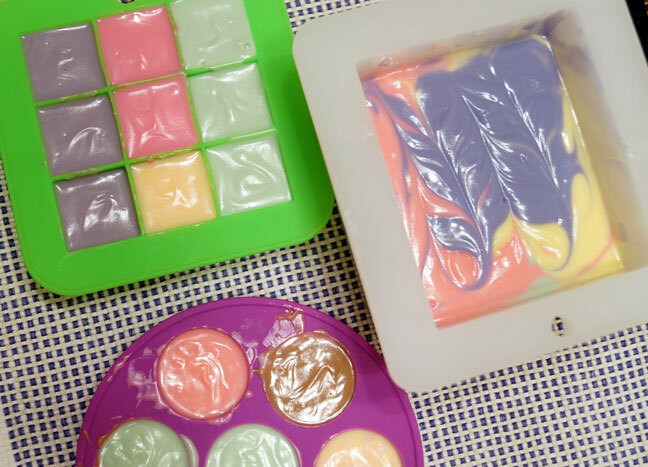 Gorgeous soaps! Thanks Victoria! I have so many embed that I hope to design a few soaps in the future.